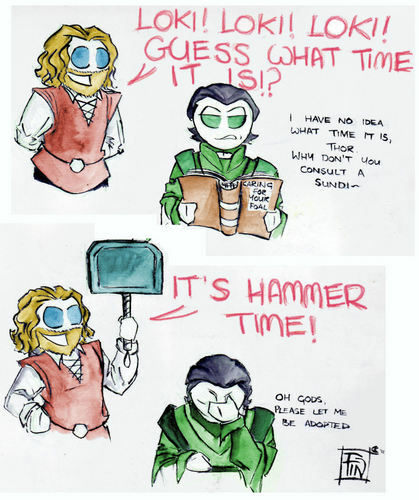 lol i heard thor say that in the super hero squad show XD HAMMER TIME!! Hahaha! Do not worry, Loki. You wil soon fond that your wish is true. OMG Loki, how are you so hot? "Caring for your foal" That's funny. :) Incredible nod to the Norse mythology!